Summers have always been warm, even hot. But the definition of hot summer months is changing. This year, like the last few years, we have seen triple digit temperatures far more frequently than we have in the past. This past week alone we had 3 or more days of temperatures exceeding 110 degrees, setting new records all over Southern California. 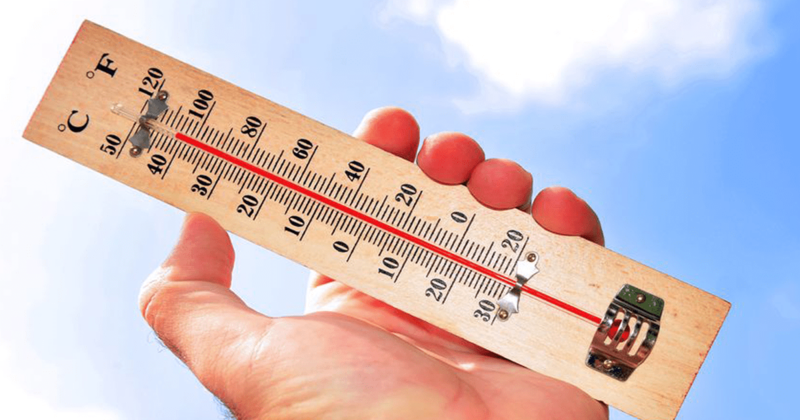 Plants, shrubs, and lawns typically flourish in summer but with these extreme temperatures occurring more frequently, we are getting a lot of questions about how to prevent lawn damage from extreme temperatures. This extreme heat can wreak havoc on your lawn and garden. But there are some things you can do to protect from very hot days. Here are some important steps to take to protect your lawn this summer. If your grass is discolored, ridged (crunchy), or curled over at the top, it is suffering from a lack of moisture. Do you notice footprints after walking across your lawn? If blades don’t bounce back after mild compression, it is too dry. Adjust your watering schedule as soon as these signs appear. If you are aware of an extreme heat wave in advance, you can adjust watering sooner to minimize the impact on your lawn. It is often recommended that you water your lawn early in the morning, as early as 4 am and no later than 10 am. During extreme heat, watering should be done no later than 7 am. You should also extend the watering time and frequency for both your lawn and any garden areas. For example, if you water 3 mornings per week you may want to make it 5 days until extreme temperatures return to normal. Typically, you want to water so that the soil is moist 5 to 6 inches deep. Deep watering is simply watering longer so that soil is moist from 7 to 8 inches deep. Deep watering helps to encourage deep root growth. Deeper roots stay cooler and stronger to better protect your lawn and garden from heat stress. Allow a deep watering at least once per week, twice if the temperature exceeds 100 degrees or more for several days in a row. Extra watering days may not be permitted due water conservation regulations adopted in your area. These bylaws may restrict how often and how long you can water. Be sure to check for any local requirements before modifying your watering schedule. Letting your lawn grow longer during summer months can protect from heat stress and encourage deeper root growth. Longer grass offers a richer, deeper green. Set your mower at the highest level during hot summer months. Turf should be at least 3 inches and does best between 3-4 inches, mowing once per week or less. When your lawn is suffering from heat stress, you might be compelled to treat it with fertilizer to return it to a rich green. Don’t do it! Fertilizing during extreme heat can do significant damage to your turf. Ideally, fertilize earlier in the season or later in the fall. Finally, keep cool as best you can. This weather won’t last forever!